Wow, such a fun weekend thrifting and creating!! I worked on a lot of projects, and was on a high from all the treasures I found! Once again, I made not one, but two trips out to Aunt Bee's. I was telling a friend that I think I may have a problem. She said we should start a group called A.B.A.- Aunt Bee's Anonymous. Seriously! Besides all the creating, the three of us did some volunteering over the weekend through our church and an organization called Dream Center. We went to our local high school and did some MAJOR clean up. The school has only been open for about 7 years, but the overgrowth was making it look pretty shabby already. (and not in a Shabby Chic kinda way) Several hundred volunteers all pitched in pulling weeds, spreading barkdust and painting. The transformation was amazing! A rummage sale find! Never mind the hideous picture- I saw the potential in the frame! Much better now! I'm not done with the wall art, but it's getting there. :) Stay tuned. I found this cute French flower bucket at True Value on their clearance table. Originally marked $10.99.... down to $4.99.... I ended up only paying $1.99 at the register!! It looks great in my living room with some of our hydrangeas. This spot desperately needed some height and was just was I was looking for. ...and then I got to do some dumpster diving and found another vintage suitcase!!! Can you believe it was going to be thrown away??! an old pair of window shutters. I hope to tuck some beach and family photos into the slots. an adorable vintage metal tray with my favorite flowers- gardenias! It will become a part of a wall collage over the green tufted bench in our living room. I gotta go order some of those Dischangers that I am seeing all over blogland! and a beautiful vintage picture- also a part of the collage wall! Great finds! And I love the porch swing...makes me wish I had a big front porch. This Aunt Bee's sounds like an amazing place. 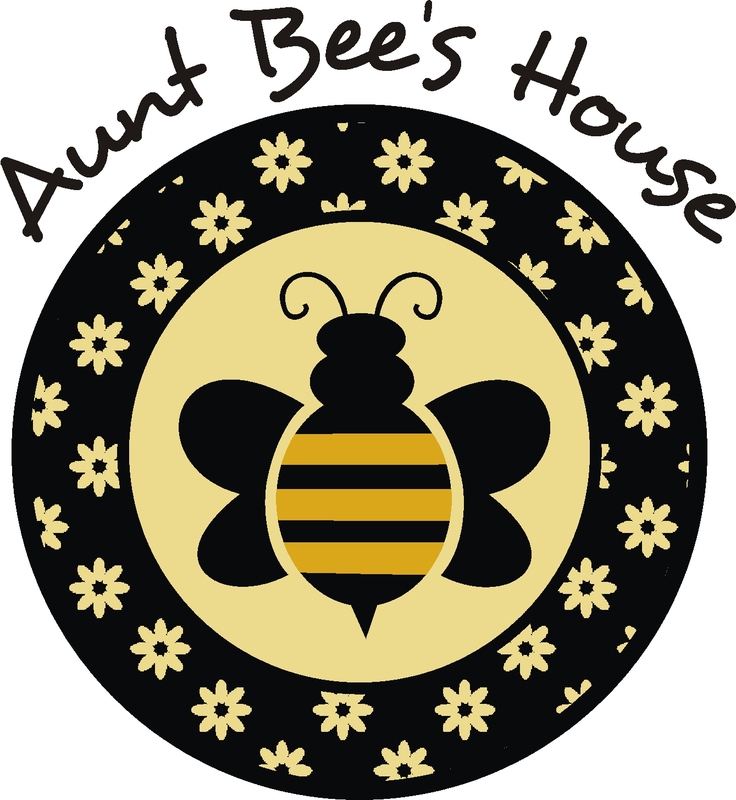 I may need to take you all on a virtual tour of Aunt Bee's sometime!